Electric cars aren’t a new phenomenon. In fact, the first fully electric car was developed in the 1830s. What’s new is that they now compete for market share with traditional fossil-fueled models. Thanks to recent advancements in battery and charging technology, electric cars have finally become a feasible alternative to gasoline cars. Today’s best electric cars make a compelling pitch to commuters: They’re practical, easy to drive, inexpensive to run and packed with technology. But shopping for an electric vehicle requires a different mindset. While a gasoline car can be refueled in just a few minutes, electric cars take longer to recharge, making them less than ideal for long-range driving. So, before you buy one of this cars, check out this options and think if this is the best car for you. It’s easy to see why the Up works so well as an electric car. This is after all a car designed for city and urban use. 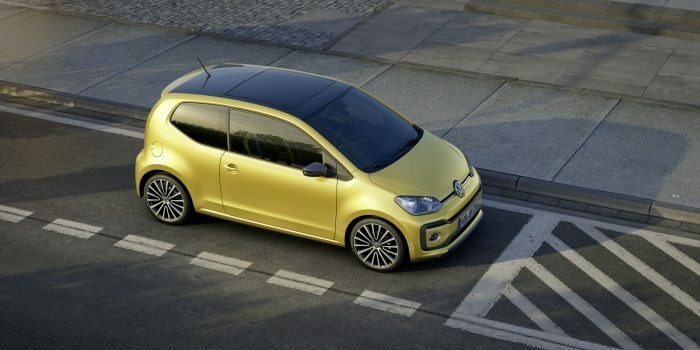 Besides, the standard model is a big success for Volkswagen; with neat styling, small size yet spacious interior. These strengths all remain with the e-Up and as the lithium-ion battery is integrate into the vehicle floor there’s no compromise with interior space. Also, it can travel up to 100 miles on a single charge although this is a best case scenario. However, it is expensive compare to the rest of the Up range but it does come very well equipped as standard with a heated windscreen, DAB radio, climate control, navigation, rear parking sensors and 15-inch alloys.